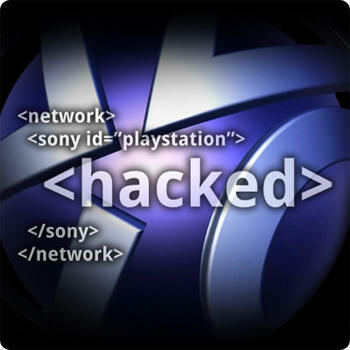 Do you folks even remember the hack and subsequent outage felt by PlayStation back in 2011? I must admit, the thought of it had moved from constant to fleeting and nearly gone from my mind over the last several years. Yet, here we are, still hearing word of the fallout. After the outage, Sony offered up a slew of free games to its userbase as a way to say sorry. That decision came without legal recourse; it was a way for Sony to take a little of the PR fiasco’s weight off their shoulders. Now, the legal settlement is coming to a close, and Sony’s offering up even more free content to affected users. The big qualifier? You need to be a U.S. resident to take part. The $15 million settlement comes with a list of qualifications, instructions and rewards. We’ll break it down. First, who’s qualified. The Class includes everyone in the US who had a PSN account, a Qriocity account, or an SOE account at any time before May 15, 2011. How about what the settlement actually gets users. It’s a range of things, really, based on how you were affected. $4.50 in SOE Station Cash (amounts will be reduced proportionally if valid claims exceed $4 million). Identity Theft Reimbursement: If you had out-of-pocket charges due to actual identity theft, and have documentation proving that the theft was actually caused by the Intrusion(s), you can submit a claim for reimbursement up to $2,500. Reimbursements will be reduced proportionally if the total amount payable on of all valid claims would exceed $1 million. I assume most of you readers will take advantage of either the free games or PlayStation Plus subscription. The choice of PlayStation 3 games includes Dead Nation, inFamous, LittleBigPlanet, Super Stardust HD and rain. The PSP games are LittleBigPlanet, ModNation Racers, Patapon 3 and Killzone Liberation. As you might have noticed, it’s a list that’s nearly identical to what was offered as a way of saying sorry back in 2011. Alright, so how do you register? HOW DO YOU ASK FOR BENEFITS? You need to file a claim to be eligible for benefits. Claim forms are available at WWW.PSNSOESETTLEMENT.COM or by calling 1-800-000-0000. The earliest deadline to file a claim is Month 00, 2014, or 60 days after the settlement becomes final and effective. And that’s it. Once this is all done, Sony can put the whole breach behind them for good. Will you be taking part in the settlement in order to claim your freebie?